Last weekend I went to Killarney with my mum and my sister for two nights. It was lovely having a few days away, even just to Killarney, which is only two hours away by car. On Friday night we went to see Maleficent in the cinema and it was amazing! It was such a great take on sleeping beauty and the acting and special affects were great. Saturday was such a nice day! I wore shorts (Without tights or leggings) for the first time this year. In the morning we went into town and I went a little mad in Penneys, I will put a haul post up Thursday or Sunday. Then in the afternoon we took our bikes and cycled out to Muckross lake and estate. We went the whole way round the lake and it was so lovely! I had to stop to take quite a few pictures though. I just love taking pictures and it was so beautiful, there was so much to take pictures of! Photography is something I want to do more of on here. I only have a compact camera and even though it is my hope to one day invest in a Canon 600d or a similar one, for the moment I do not have the funds to get a camera that takes such amazing photographs! In the evening we went swimming in the hotel pool and went to Milano restaurant (Which is Pizza Express but in Ireland I believe) and I had this amazing Calzone pizza. 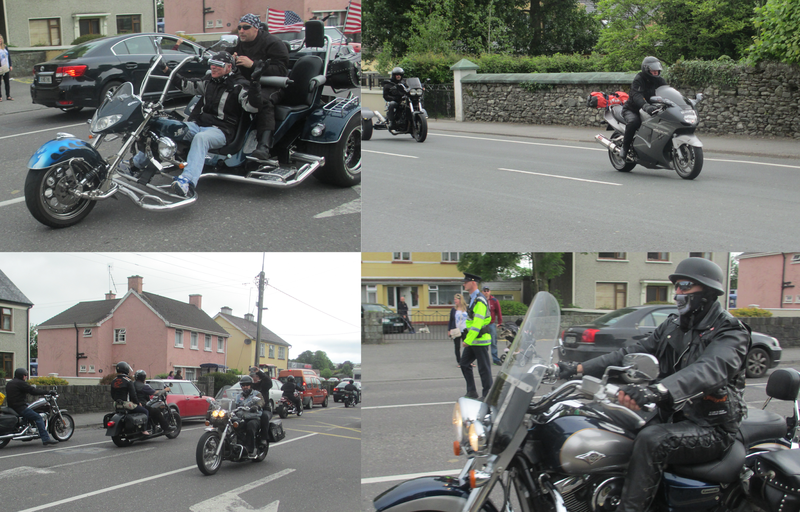 There was also this BikeFest thing on in Killarney and it was strange and actually quite interesting watching all these motorbikes and stereotypical bikers go around town. On the way back on Sunday we had to go to the all amazing Avoca Cafe! I love the foods there and we have all three Avoca recipe books at home and they are our most used books. I took a picture of my lovely salad, it looked and tastes delicious! I'd like to do more posts like these. These are more for myself than anything, it's a great way to conserve good memories. Well I hope you liked this lifestyle post! Thanks for reading!